Good news! 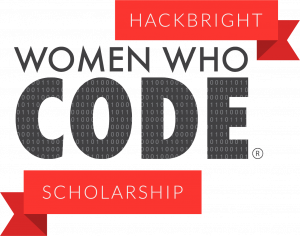 Hackbright and Women Who Code are partnering to give you two partial scholarships (valued at $8,447.50 each) for our upcoming Immersive Software Engineering Program or Part-Time Software Engineering Program! It is the mission of Women Who Code to inspire women to excel in technology careers. Since 2012, Hackbright Academy has graduated 600+ women with the skills to be software engineers, and our goal is to train more women faster. If you’ve wanted to transition into software engineering, now is the time!